Rare and important design by Thorald Madsens Jr. for Snedkeri, Copenhagen. 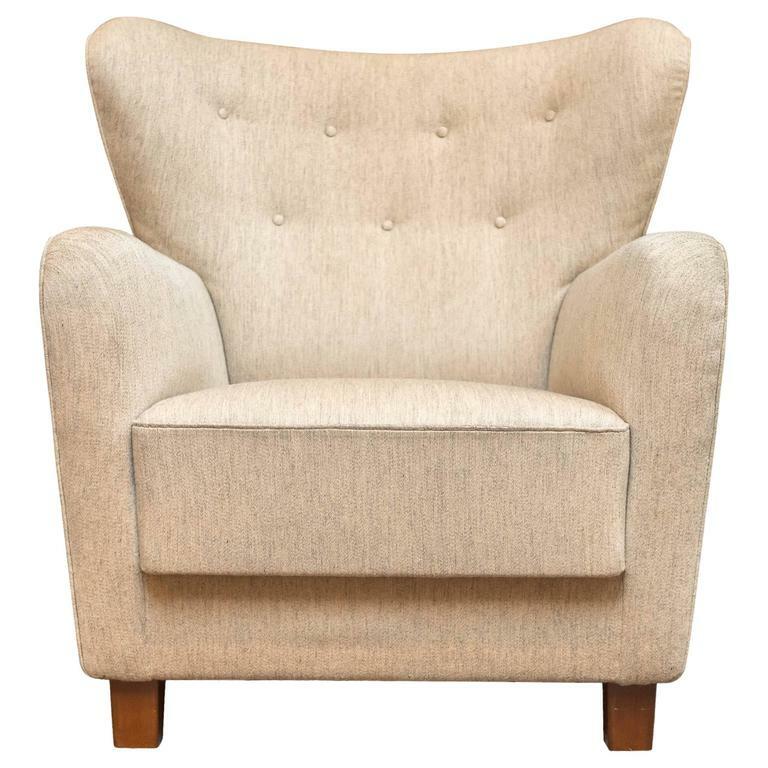 A robust and masculine wing chair with an inviting deep comfortable seat. Excellent build quality in very good original condition with manufacturer's metal tag. Acquired from the original owner's Connecticut estate with matching sofa available separately. Ejner Larsen and Askel Bender Madsen design teak lounge chair model LP48 for Ludvig Pontoppidan, Denmark. Perfectly re-upholstered in new Italian black leather, labelled. 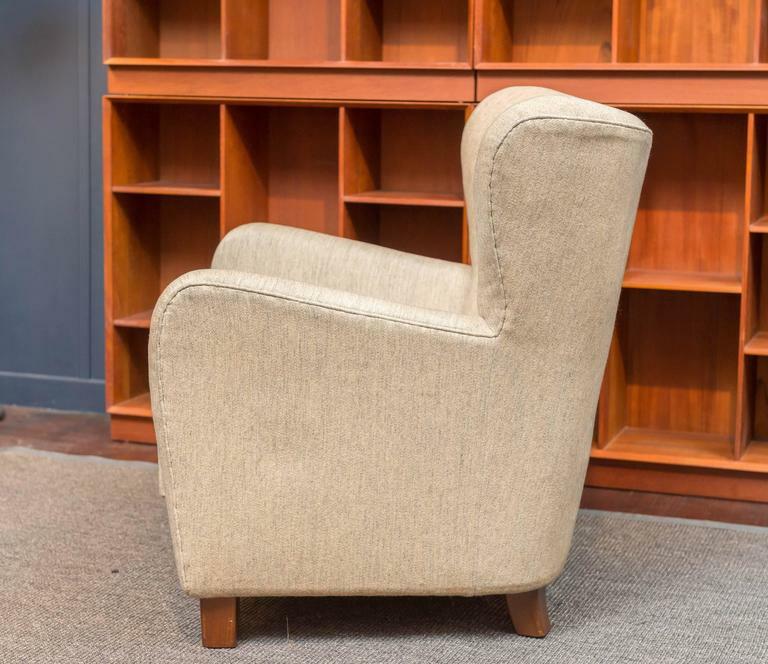 Danish modern black leather wingback chair, well made and well loved. 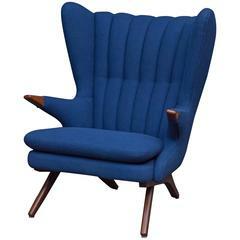 Danish wingback chair designed by Svend Skipper for Skipper Mobelfabrick, Denmark. 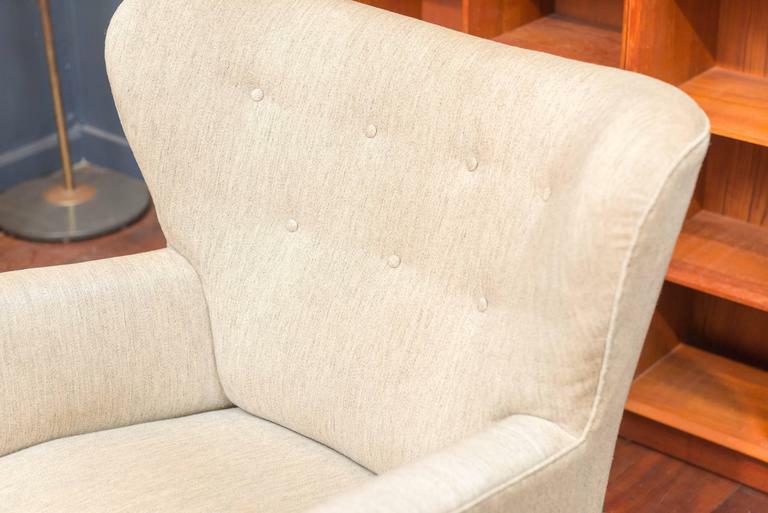 Perfectly refinished and newly upholstered, super comfy! A gorgeous pair of hand-carved walnut wing chairs in the baroque style, German, circa 1860. 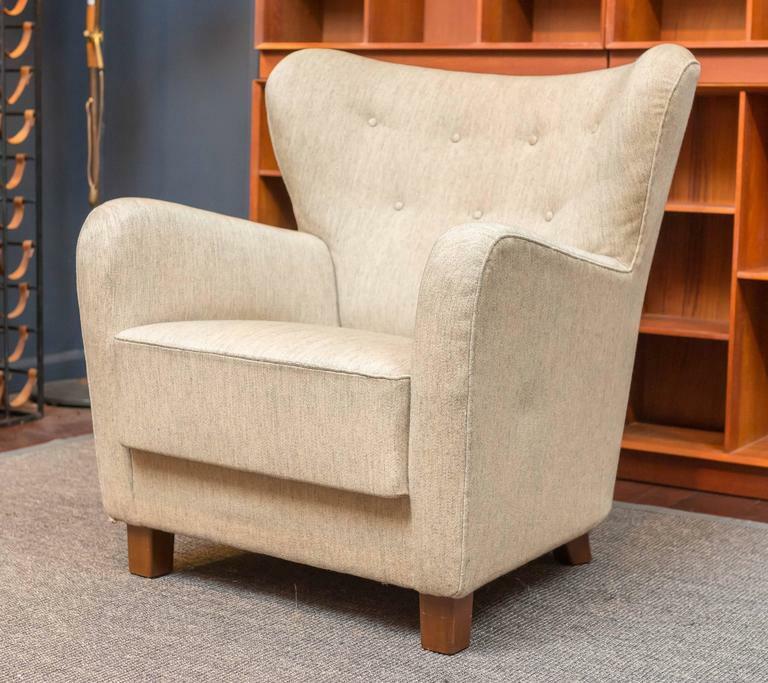 Sculptural pair of wing back lounge chairs by Edward Wormley for Dunbar. Fully restored. Refinished walnut bases. 100% angora mohair over new foam. Børge Mogensen wing back chair new upholstered with soft black semi aniline leather. Legs of mahogany. 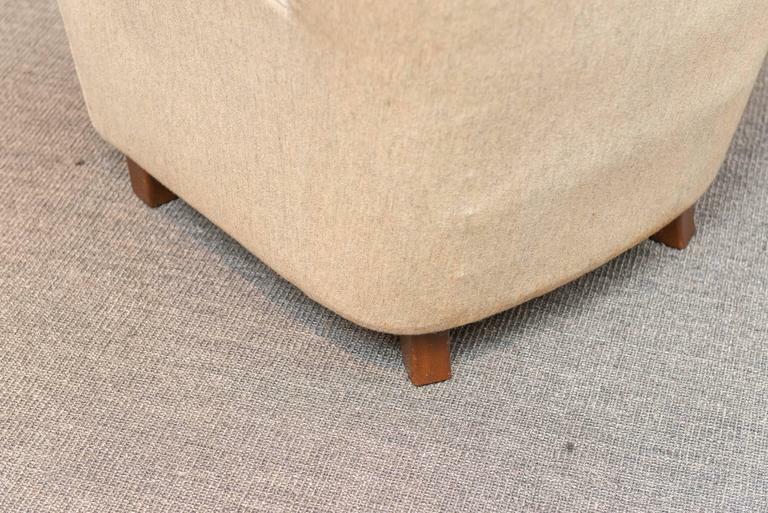 Model 2204, made by Fredericia Furniture. 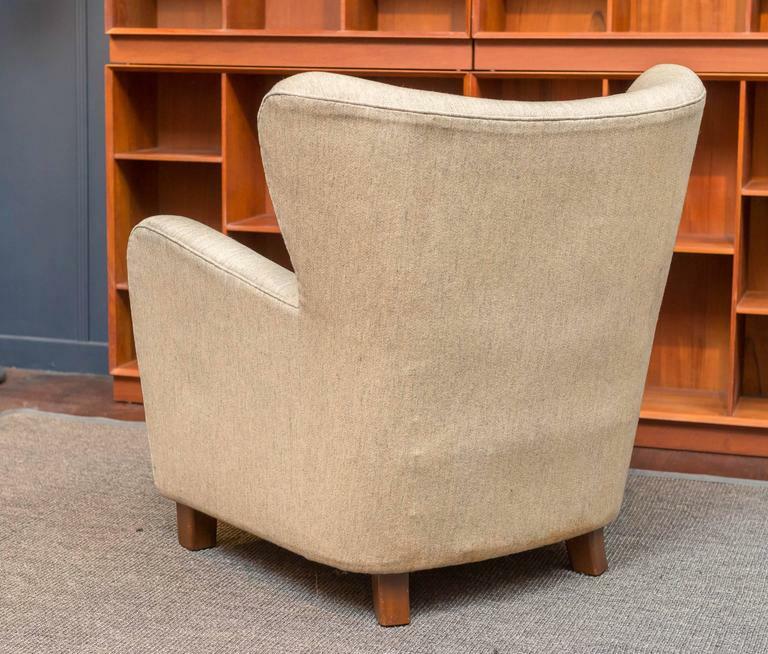 A pair of large sculptural wing chairs with round arms on wood legs, French, 1930s. 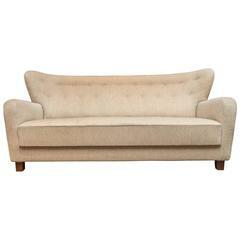 Newly upholstered by Lobel Modern. These chairs have great scale and are very comfortable.